Singer, storyteller, and folk-theologian, Ed Kilbourne, will lead worship and perform a concert at First United Methodist Church, Elkin on Sunday, Nov. 13 as a part of our Stewardship Celebration Sunday. He will bring the message at the 10:55 am worship service and join us for a covered dish luncheon following in the Fellowship Hall. Ed will share his musical talent in a concert open to the community at 4 pm in the Sanctuary. This is not Ed’s first visit to First Church. It has been quite a few years and he is eager to return to be with us. Last year’s confirmation class connected with Ed at the Confirm ’16 retreat at Lake Junaluska. They were so impressed with him, they wanted to invite him back to Elkin to share in worship and perform a concert. This popular artist is known for his collections of moving music, quirky humor, and insightful monologues. He combines his acoustic guitar and singing with a storytelling style often compared to that of Garrison Keillor, the radio humorist from 'Lake Wobegon'. He grew up in China, Korea and Japan, where his parents served as missionaries. 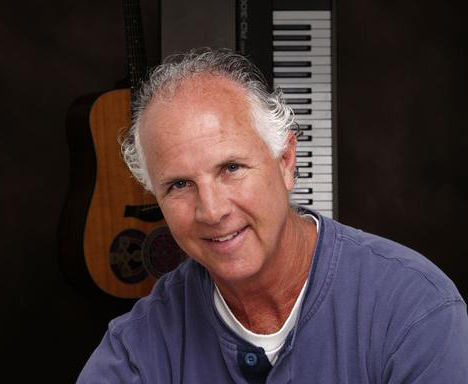 Ed began his career in the early 60's, singing in folk groups while in high school and college. After completing college and seminary, he moved to Atlanta, Georgia and began his career there as a United Methodist minister. As his gifts for teaching and performing became known, he was invited to serve the church as a musician and spiritual resource person, touring extensively in the Southeast and later, throughout the nation. In the early 1970's Ed moved to western Colorado but in the late 70's, he returned to the Southeast and after living in South Carolina for 25 years, he now resides in South Florida. During a professional career of 8000-plus solo appearances over the last 40 years, he has worked in every region of the United States and toured in Europe. Ed has recorded 23 albums, among them a 4-CD collection of in-concert performances of his stories and songs, "The Grateful Ed Live" released in 2008. His latest CD's are "A World Of Good" and his second greatest hits collection, "The Best Of Ed/Volume 2". Ed's wife, Kathleen, is a United Methodist minister. She is the director the Master Of Arts In Practical Theology degree program on the Charlotte campus of Pfeiffer University in North Carolina. She also serves as the coordinator of the Center For Deacon Education, a partnership with Wesley Theological Seminary in Washington, DC. Ed and Kathleen make their home in Englewood, Florida on Manasota Key.